Seven Springs is a retreat center featuring seven natural springs on 126 acres of private land in the Foothills of the Great Smoky Mountains. Near Maryville, Tennessee, we are within 500 miles of 50% of the U.S. population. The Smoky Mountains are the world's oldest mountains and one of the world's most ecologically diverse regions, featuring temperate rain forest climate with over 17,000 species of plants and animals. This incredible biodiversity adds to the abundant richness of Seven Springs. 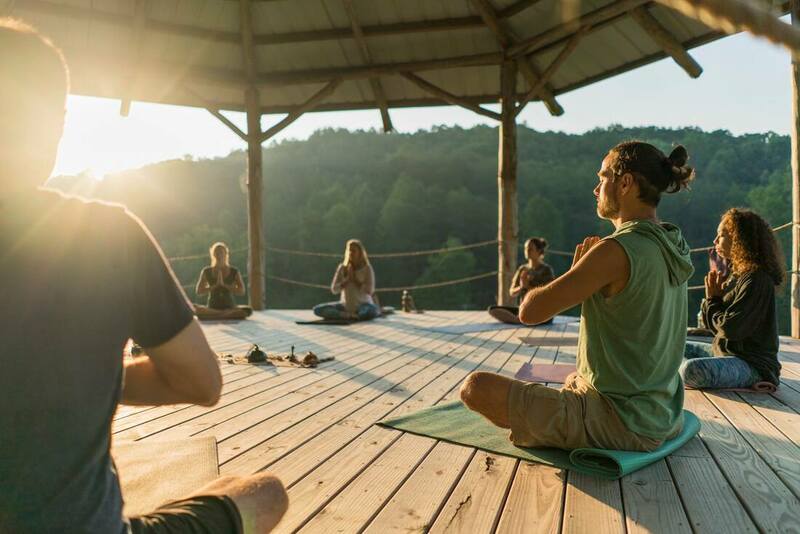 Our Vision: Seven Springs Holistic Retreats is a place of natural abundance and cultural diversity where people learn how to create holistic sustenance for themselves and their communities. Our Mission: To provide an innovative and transformative space for local and global communities to experience high quality holistic education. My friends and I adventured here for my birthday and we haven't stopped talking about it! Mary is a bright light in this world and her wonderful spirit shows through in Seven Springs. We had 7 people in 4 yurts, all of which were uniquely decorated and freshly cleaned. The campfire was stocked with wood, the kitchen had everything we needed, and the showers and bathrooms were very clean. On the last day, we had a yoga class in the open air yurt which was a great way to end the weekend. Highly recommend asking about that! So... STAY. HERE. I can't recommend Mary and Seven Springs enough. My friends and I can't wait to come back and hike in the smokies and stay in this little patch of good vibes again. ﻿We partner with individuals, organizations, and schools to offer diverse opportunities - learn about our upcoming retreats, trainings and events . Stay in one of our Luxury Yurts for a night alone or with the whole family! Join us for your own personal retreat to disconnect and reconnect. ﻿Seven Springs is the perfect space to host your wedding or other event. Contact us to learn more about what we have to offer for your special celebration. We are hybernating for the winter and look forward to opening up in March for another amazing season of retreats, trainings, and workshops!